Let’s pretend you owned a garden center. 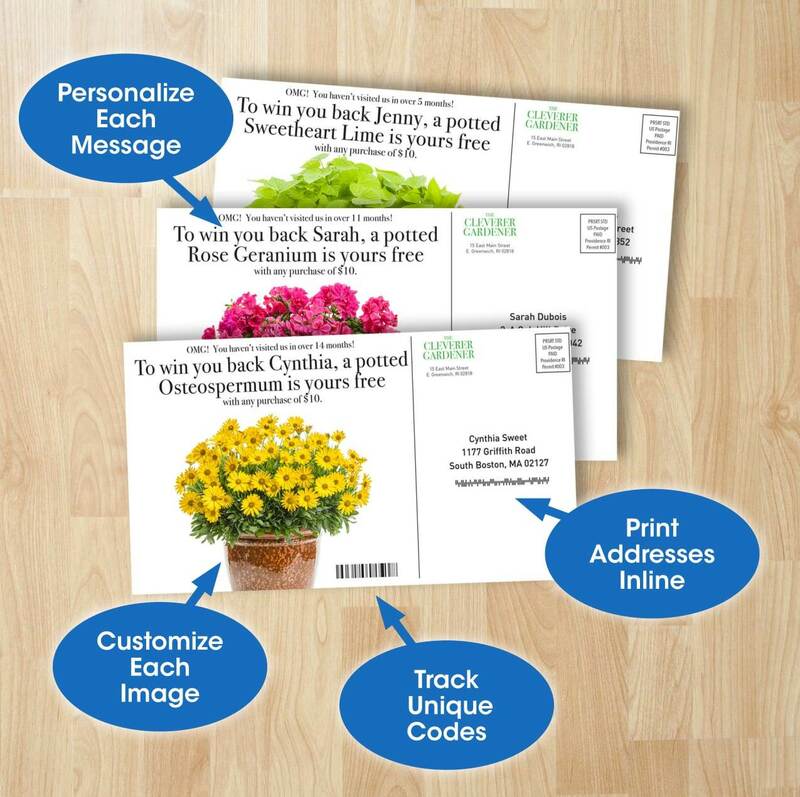 Instead of a generic post card, wouldn’t it be better to send out a mailing personalized with your customer’s name, and a specific message based on her or his shopping history? And if you wanted to offer a discount, wouldn’t it be smarter to divide the list, and test several different offers to see which one generated the best results? We can do all that easily with Variable Data Printing. You could even print individualized product photos on every card. Fact is, mailings using personalized variable data are proven to increase sales,see higher response rates, and improve customer loyalty. Variable Data has even been proven to increase mail response rates by 5% – 12%. All it takes is a spreadsheet database of your customers’ information, and all the variable content and graphics you want to include. Best of all, Variable Data is done inline, and adds practically nothing to the total cost. Just give us a call, and we can walk you through the process. Again it’s not very difficult, and adds surprisingly little to the overall cost.